Sometimes you want to tightly seal a lid to its container, such as when you're canning foods. The vacuum seal created inside the contain as the contents cool down after being heated in the water bath or pressure cooker prevents spoilage and allows for long-term storage. 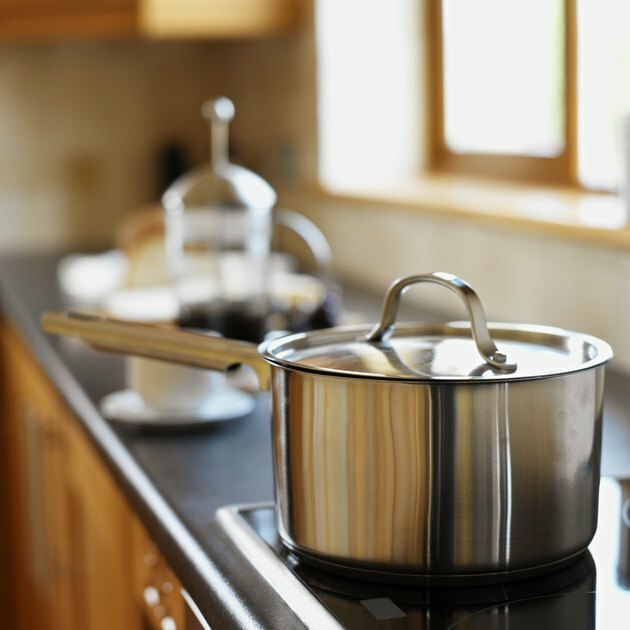 The same thing can happen when you cover a cooking pan with a tight-fitting lid, then turn down the heat. When the lid inadvertently seals to the pan, it creates a problem, but breaking this seal should be a simple matter. When a heated pan cools down with the lid on, it sometimes creates a vacuum seal. Put the sealed pan back on the burner. Heat the pan slowly on low so that the air inside the pan warms and expands. Wait for the seal to break. 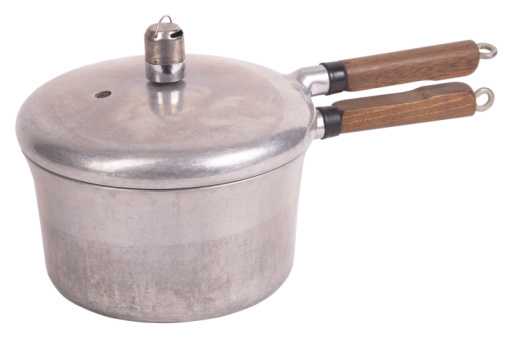 The lid should lift off without effort once the heated air inside expands.